Newcastle eye Dutch international swoop | The Transfer Tavern | Where football transfer rumours fly or die! 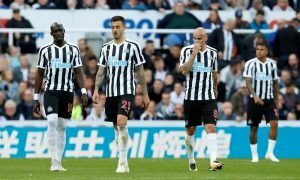 Newcastle United fans in the Football Transfer Tavern have not been happy of late, with the departure of Demba Ba and rumoured departures of other key players. Yet the Daily Mail report good news may be just around the corner. The club look set to make a £9 million bid for Siem de Jong. The player has been nothing short of inspirational for Ajax, skippering the Amsterdam-based side to victory on more than one occasion. The Magpies are determined to halt their slide down the table and make waves in the transfer market – and not just by selling players. In recent days, Fabricio Coloccini has claimed he wants to return to Argentina for personal reasons and Hatem Ben Arfa has declared his love for Paris Saint Germain. Cue a very unhappy Toon Army who do not want to see top talent repeatedly leaving the club. de Jong has two years left on his current deal and the 23-year-old may be tempted to try his hand in a foreign league having only played in his homeland thus far in his career. 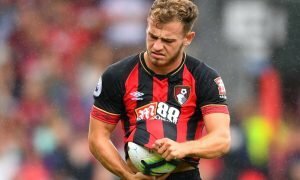 The playmaker is seen as an ideal player to link up with Yohan Cabaye by Alan Pardew who has moved the young star to the top of his wish list. Do you think the Magpies should pursue de Jong? Vote in our polls below.